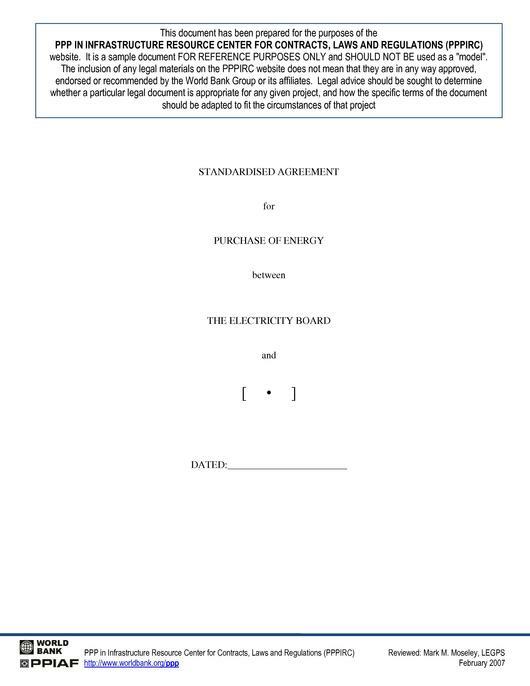 Example of Power Purchase Agreement (PPA) - South Asia Agreement sets out terms on which Seller is to sell electricity from an mini-hydro generating station it is building to the state-owned Electricity Board. 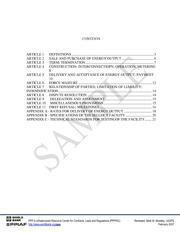 It is a short-form document particularly suited to small rural village hydro schemes. Suitable for use in common law or civil law jurisdiction (subject to local laws).